A drain is a conduit where wastewater and other unwanted liquids produced by your household pass through on their way to your septic tank or wastewater treatment facilities. Wastewater is something that you do not want to pool inside or around your home so it is crucial that you always have it maintained and cleaned regularly. You may do it yourself from time to time, but getting a professional drain cleaning in Pembroke Pines, FL service is more effective in ensuring that your drain will always be functional. Disposal of Wastewater – Drain cleaning in Pembroke Pines, FL will ensure that your wastewater at home will be disposed properly. Failure to dispose this wastewater can put you and your family at risk of health problems. Working Plumbing System – Your drain is a part of your plumbing system. If you get regular Pembroke Pines, FL drain cleaning, you are helping your whole plumbing system to stay in good condition. Cost Saving – Regular drain cleaning in Pembroke Pines, FL will save you from costly repairs for clogged or damaged drain pipes. 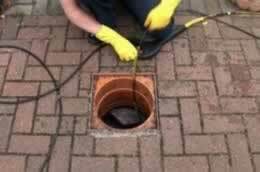 Remember that the majority of your drainage system is beneath the ground and repairing it would mean excavating the drainage system which is a costly feat.